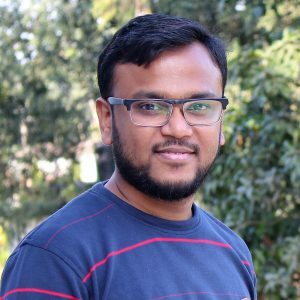 I have started career in Digital marketing in the year of 2009. Since then I have experienced many things. I have seen the transformation from Online Marketing/Internet Marketing to Digital marketing. In spite of being a prospective career option, in India, not much of the job seekers are aware of the fact. The reason behind it is, people are not aware of this forum. Digital marketing is basically dependent on online. It is the place where via social media one can set advertising campaigns for their business or services. This web of communication due to its global connectivity sets makes those campaigns viral in seconds. If you are a kid of 90s, you must know how products were marketed in that decade. There were sales executives who would reach our doorstep to give the entire details of the product of their company. From those limited number of means, today we have landed up in a time where with just a click you can get countless results to choose your desired product. Now each and every android phone and laptop has become a shopping mall of our own with each and every essential commodity is very easy get. Economic flexibility is the root of every business. By choosing the digital forum one can actually save the large amount of money and workers to get invested, simply for the purpose of promotions. Digital marketing because of its easy access and connectivity has accumulated immense popularity among the shoppers. Thus, now almost everyone is looking for some web link to get involved into the spectrum of global market. Several courses have been introduced to learn the process of marketing online. In India, where people are gradually becoming more habituated with technologies, this can be a profitable career option. It has been announced by the Government that, in the future, many new project ideas will be approached in the digital marketing field. So, there is a lot of chance to get employed by gaining the proper knowledge of the digital market place. Eventually, it is hoped by the economists and technology experts from all over the world that digital marketing will be the ultimate choice of every shopper. How Digital Marketing Training can be beneficial for a Fresh Graduate? When it has become most important be self-dependent and unemployment has grasped the entire system, one can explore their capabilities in the digital universe. There are many courses introduced to enhance the idea about the process of digitisation. Almost each and every youngster r completing graduation becomes worried about there career options. If someone has a keen likeness for the digital forum, he or she can take up that as a prosperous career. Such courses are there to enhance the ability of a complete fresher to handle the marketing strategies digitally. Many freshers after completing their B-Tech degree are opting out the digital industry as a promising career option. If you have graduated recently, you can do such courses which will help you to specialise in your favourable option which is like HR, PR, Marketing executives and many more. If someone aspires to be a successful entrepreneur in the near future, the course also provides the necessary knowledge to kick start in chasing that dream. The best part about the course is its familiarity. Today, everyone is addicted to social media and online shopping. A major portion of the course explores this knowledge of the student. Some of the best digital market advisors are connected with these courses who give a confused, freshly graduated candidate the proper way and options to choose in this platform in order to get a flourishing career graph. Reputed multinational companies are there to hire a fresher with all the knowledge in the digital market field. If you google, you will come across loads of reviews where people have confessed how from being a confused fresher they have made up themselves successful professionals by embracing this industry of digitisation. Digital marketing or e-marketing implies product promotion through various forms of electronic media. Though different from conventional marketing, it can benefit traditional businessmen in multiple ways. Instead of splurging on traditional methods of marketing and advertisement, social media advertising, SEO, pay-per-click, content marketing, and other such digital marketing strategies can help traditional businessmen reach out to their consumers in a more cost-effective manner. Traditional marketing and advertising strategies like placing an ad in a newspaper resemble taking a shot in the dark, hoping against hope that it would reach ideal buyers. But analysing traffic information through digital marketing methods enables businessmen to govern the buying patterns of their customers. Consumers likely to show an interest in specific products and services can be targeted through pay-per-click and particular ad campaigns on social media, which enhances the prospects of sales. By using Google AdWords, businessmen can ascertain how many of their ads were viewed and easily improve their conversion rates. They can even check the number of their emails that were delivered to, and read by, their customers, through email marketing software. Social media analytics can allow businessmen to see which of their posts appealed most to their customers, and use the same in their campaigns in the future. The amount of money brought in by each digital marketing tactic can be tracked using web analytics. Brand goals commensurate with customers’ interests are important for a traditional businessman. A responsive social media channel, a first-rate blog publishing exceptional articles, and an engaging website can take a business a long way in building its brand image and reputation. Digitisation has created immense opportunities for traditional businessmen to showcase their products and services on a global platform_ the internet. With millions of people glued to social media and other spheres of the digital world, sophisticated digital marketing and targeting abilities can help a businessman go global. All these benefits of digital marketing prove that traditional businessmen can alter and improve the manner in which their target market would be reached, and thus become more successful. How Digital Marketing can be beneficial for a Startup Owner? Today, digital marketing is the new mantra where businesses are concerned. Read on to find how you can make extensive use of digital marketing tactics to promote your startup globally. Search Engine Optimisation (SEO) is a powerful digital marketing tactic to improve the rank of a startup’s webpage on popular search engines like Google and Yahoo, for a higher rank would mean a greater chance of enticing more and more customers to buy the startup’s products or avail its services. This can be done through a focus on keywords and topics, site optimisation, improve in site speed, etc. The increasing relevance of Facebook, WhatsApp, Twitter, Instagram, and other such social networking sites in people’s lives makes it important for startups to market their products to their targeted customers through Social Media Marketing (SMM). This helps to make their brand socially visible by building a strong presence on social media and thus become popular. Startups can generate high-grade leads for business by sending potential customers attractive emails promoting their products and services, for instance, emails containing links to free eBooks and webinars. Email Marketing software allows them to analyse user behaviour and also build brand loyalty. On paying the host website, a startup can influence the direction of online traffic towards its own website and thus gain more customers. This can be done with the help of Pay Per Click (PPC), a method of digital marketing that helps startups build a substantial consumer base and increase their brand awareness. SEO, Pay Per Click, social media advertising, and other such strategies of digital marketing enable startups to attract more users to their websites. Such high traffic can increase the chances of conversion. Alteration of existing conversion tactics can also be done by using Google Analytics. As compared to conventional marketing techniques, email marketing and other digital marketing methods offer startups a more cost-effective way of promoting their products, thereby reducing unnecessary expenses and ensuring substantial returns on small investments. Digital marketing can, therefore, speed up the business promotion of startups in a more affordable manner than traditional marketing, and would prove to be beneficial for their cause. Why all marketing and sales professionals must upgrade themselves with digital marketing certifications? Arming oneself with digital marketing certifications certainly has some benefits. Search Engine Optimisation, email marketing, content marketing, and social media advertising are only some of the digital marketing strategies that businesses use to enhance their consumer outreach and effectively promote their products and services. Digital marketing can thus be seen playing a significant role in building a company’s brand image and reputation. For this reason, companies are keen to recruit marketing professionals who possess a certificate showcasing their substantive knowledge of digital or online marketing. The advantages of digital marketing encourage companies to not be left behind in today’s digitised world. More and more companies are creating new jobs in digital marketing, offering more and more job opportunities for sales professionals with digital marketing certifications. 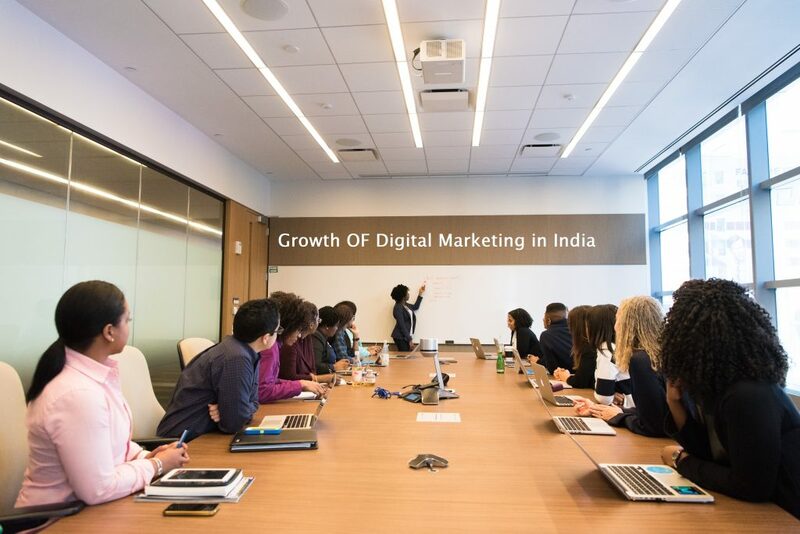 In order to obtain a certificate in digital marketing, sales professionals would be required to undergo proper training imparted by digital marketing experts who have real-world experience. This would enable them to acquaint themselves with the nitty-gritty of the world of online marketing and advertising. While undergoing training for digital marketing certifications, the trainees get to obtain extensive practical experience as well. This helps them immensely before stepping into the real world. As e-marketing is one of the fastest growing industries in the world, obtaining digital marketing certifications entails a potential for an increase in earnings, as online marketing would be revving up competition among different organisations. Digital marketing certifications also help marketing professionals get a competitive edge over other sales and marketing experts who lack such qualifications. This enables the former to advance in their career more than others. Certifications showing the talent of marketing and sales professionals for digital marketing can not only prove to recruiters that they truly understand the digital marketing industry, but can also enable them to improve their marketing strategies and apply the same to their own businesses.